We LOVE everything Harry Potter in our house. 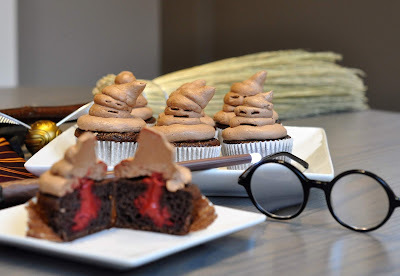 So, for my boys 12th birthday, we went to a Harry Potter Trivia Night with some friends. I made these easy Sorting Hat Cupcakes to bring along. 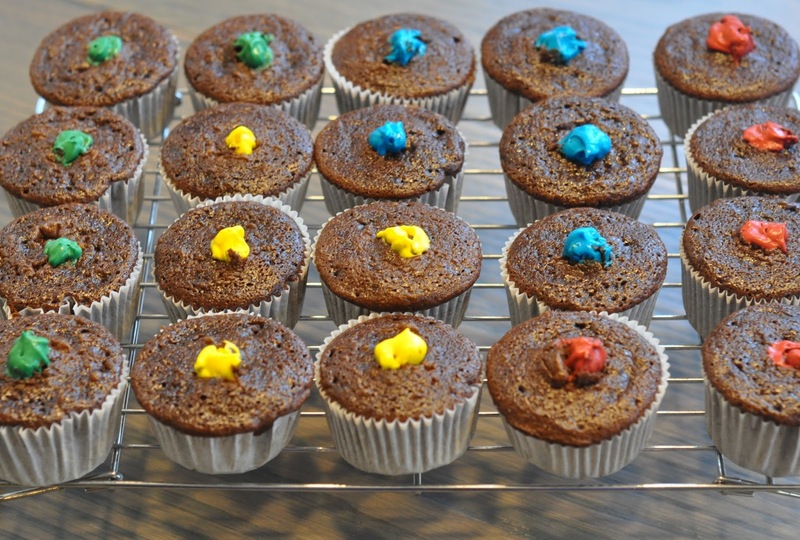 Make the Cupcakes, according to box directions. Or you can substitute some ingredients to make them taste a little better. Combine the pudding mix and the half-and-half in a medium mixing bowl. Let set for 2-3 minutes. Then whip on highest speed with a hand mixer until fluffy (3-5 minutes). Divide the filling into four small bowls, and color for each Hogwarts house: Red (Gryffendor), Yellow (Hufflepuff), Blue (Ravenclaw) and Green (Slytherin). *Note: Getting dark colors requires using good, gel coloring. I recommend Wilton or Americolor brand coloring. I used my Rich Chocolate Buttercream recipe. You can use any chocolate icing recipe, just be sure that it isn't too dry. 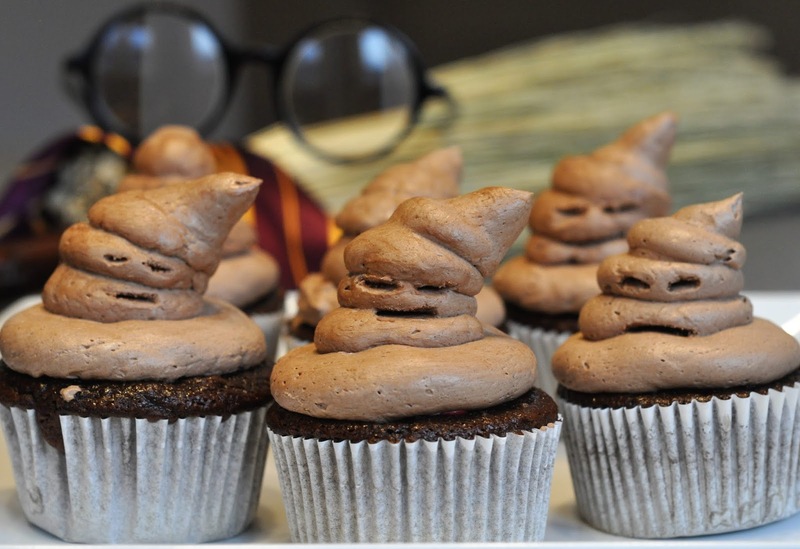 You want this icing to come to a point at the end to make the Sorting Hats. 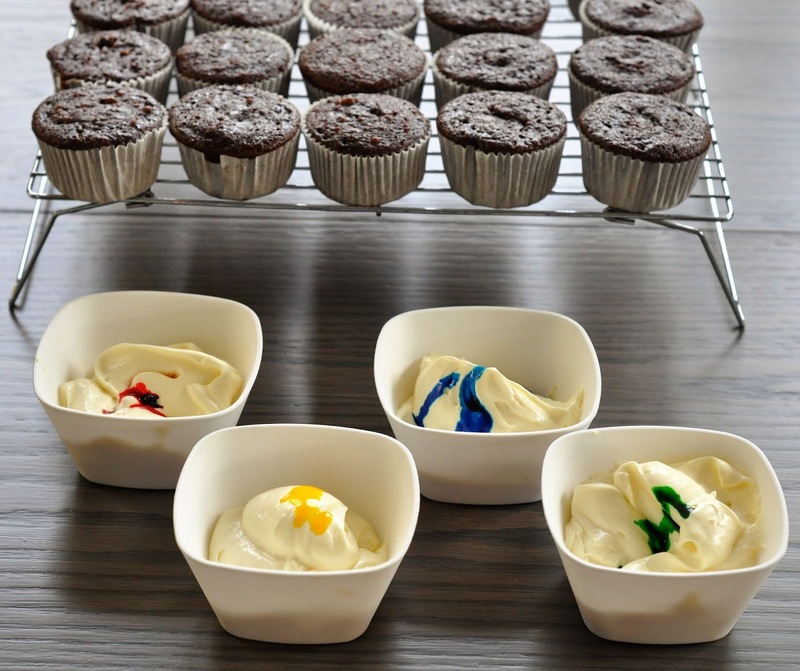 Refrigerate the cupcakes for 30 minutes or more. Use a toothpick to etch the eyes and mouth into each hat. 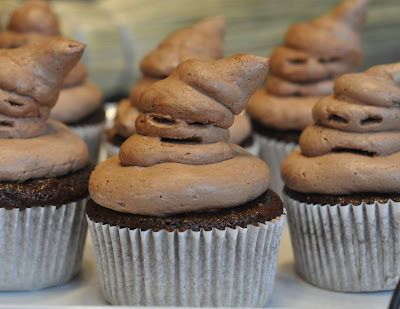 *Note: Yes, they could also be poop emoji cupcakes. They look rather similar!! Please note that comments containing profanity or those that are spam will not be approved on this website. Images & Recipes are the sole property of Beki Cook's Cakes, and cannot be used without permission. Simple theme. Powered by Blogger.